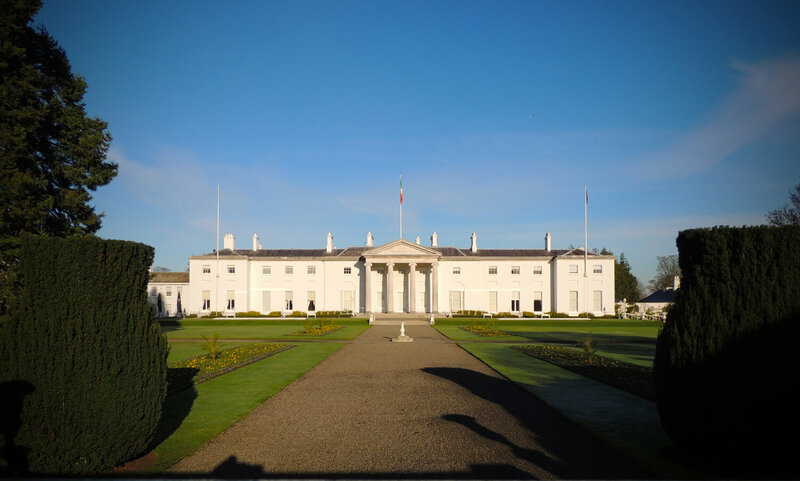 Áras an Uachtaráin is both a family home and a venue for formal state occasions. The President and his wife Sabina live here and the President also carries out many of his official duties here. These duties include receiving visiting Heads of State, new Ambassadors, dissolving Dáil Eireann and presenting new Government Ministers with their Seals of Office. Among the visitors received here over the years have been Pope John Paul II, Nelson Mandela, President Bill Clinton, President Barack Obama, President John F. Kennedy, Senator Hillary Clinton, President Charles de Gaulle, H.M. Queen Elizabeth II and many of the world’s contemporary leaders.